Swap the single-use gloves used in your company with a high quality biodegradable alternative to reduce your environmental impact and protect our planet for generations to come. The inventors of the world’s first disposable nitrile glove, now bring you the world’s first biodegradable disposable nitrile glove. 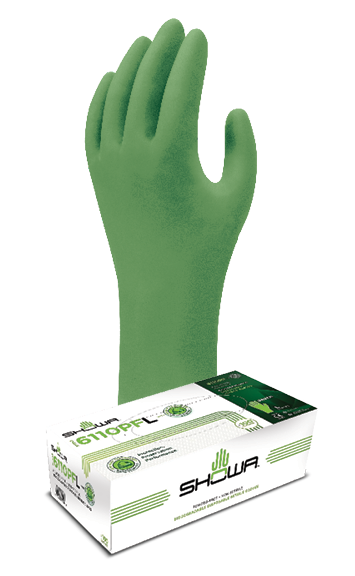 Regular nitrile gloves cannot attract enough (if any) microbial activity to begin breaking down the polymer’s molecular structure, thus leaving the process of reclamation to light, heat, mechanical stress and moisture… unlike the NEW SHOWA 6110PF biodegradable glove. 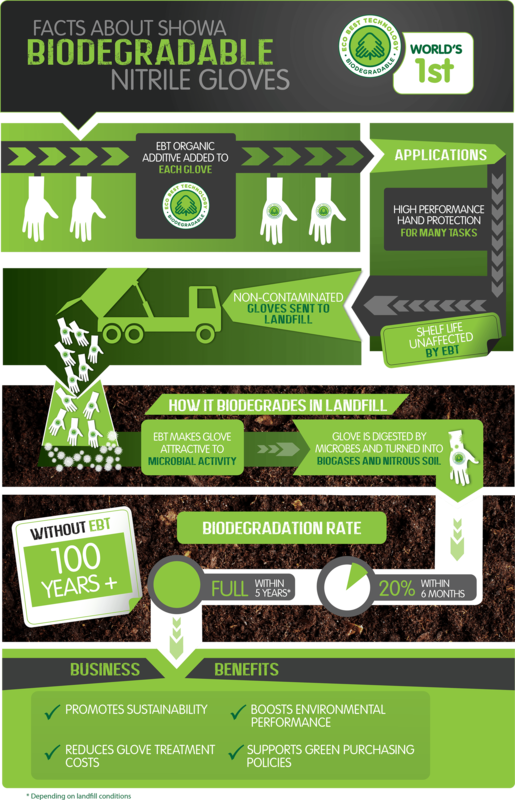 The Worlds First Biodegradable Nitrile Glove. The "Eco Best Technology" (EBT) organic additive is added to each glove. Gloves offer high performance hand protection for many tasks. The glove's shelf life is unaffected by EBT. Non-contaminated gloves can be sent to landfill. EBT makes the glove attractive to microbial activity. The gloves are digested by microbes and turned into biogasses and nitrous soil. 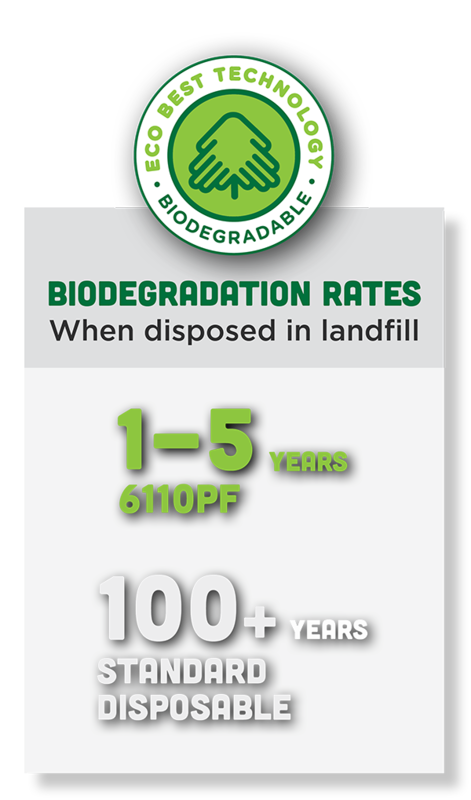 Within 6 months the gloves are 20% biodegraded. After 5 years (depending on landfill conditions) the gloves are entirely degraded. Without EBT this process would take over 100 years. Samples are provided to qualifying companies as part of a managed Globus Group assessment.